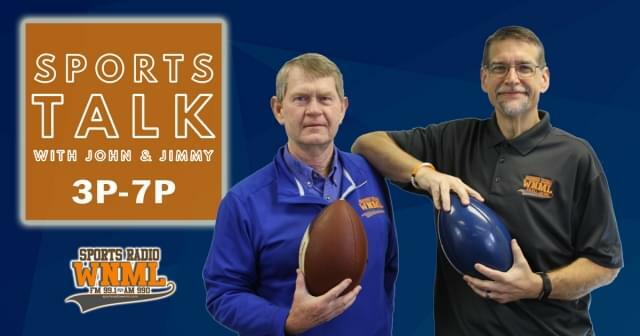 One of Knoxville’s longest and well-known sports talk shows, Sports Talk, can be heard on weekdays, 3-7 p.m., with local media legends John Wilkerson and Jimmy Hyams. Stay up-to-date with the latest in Tennessee athletics Monday thru Friday on your afternoon commute as Sports Talk brings you the best coverage of the University of Tennessee. With over 60 years of combined coverage in Knoxville, the co-hosts have a plethora of connections and pride themselves in bringing their audience credible information. 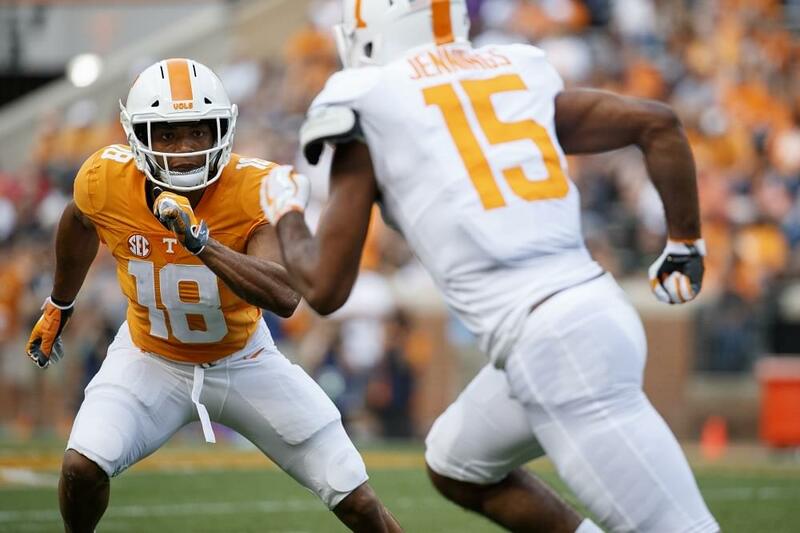 Sports Talk welcomes guests every week from around the country that range from NFL reporter John McClain, ESPN broadcaster Jerry Punch and Brent Hubbs of Volquest, who hands off the latest in Tennessee recruiting. Wilkerson and Hyams also bring on play-by-play broadcaster of the Tennessee Titans, Mike Keith, former Tennessee Basketball assistant coach, Mark Pancratz, and Vols Baseball coach, Tony Vitello, seasonally. Each show begins with the news & notes section where Hymas breaks down what is currently going on in the world of sports. Stay glued in until 6 p.m. where the two unravel The ‘Sports Fix @ 6’ that comes with a prize each and every day. Sports Talk is WNML’s longest-tenured show as the two co-hosts have been partners since 1998 – back when the show was aired in the afternoons on 990 WNOX. Sports Talk welcomes calls at 656-9900 as the large and loyal listening base ask the two co-hosts questions regarding Tennessee football and everything else. For a complete layout of Sports Talk prior to the show, and updates on guests and times during the show, follow @SportsRadioWNML on Twitter. John Wilkerson is a 1988 graduate of the University of Tennessee and has been working in Knoxville radio ever since. The longtime Voice of the Tennessee Baseball team has been seen at Lindsey Nelson Stadium since the 1990 season and has acted as the Tennessee football and men’s basketball studio host for IMG’s Vol Network dating back to 1994. You can hear Wilkerson all over the WNML airwaves – year around – as the seasoned radio veteran has broadcasted high school football in the Knoxville area since the mid-90s. The VFL also hosts WNML’s NFL Report that is carried every Sunday from 10 a.m.-12 p.m. during football season. Jimmy Hyams has been breaking the top sports stories in Knoxville since 1985 after spending 16 years Louisiana where he began his career. The four-time Tennessee Sports Writer of the Year and two-time Tennessee Broadcaster of the Year is a registered Heisman voter and wrote for the Knoxville News-Sentinel from 1985-1998 before transitioning into talk radio. The acting Sports Director for Cumulus Knoxville, Hyams also covers SEC football for Lindy’s Magazine. The former collegiate baseball player has been with WNML for 20 years. Vince Ferrara is another name you will hear on Sports Talk as the versatile voice joins John & Jimmy routinely on the show each week. Ferrara has been covering Tennessee athletics for WNML and IMG’s Vol Network since 2010 – acting as a sideline reporter, pregame host and halftime reporter on several Tennessee broadcasts including football and men’s basketball. He’s the play-by-play voice of KOC High School Football Game of the Week on AM 990 partnering with analyst Will West. 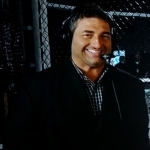 Away from the station, Ferrara does MMA lead commentary for Valor Fights on FloCombat pay-per-view , as well as SEC Network+ broadcasts. You can also hear Ferrara on Tennessee Baseball broadcasts alongside John Wilkerson.